Low fat and rich in antioxidants, black tea is the true guardian of your health. Black tea has a long tradition and long list of medicinal properties. Thanks to its qualities, it is by far the most popular and best-selling tea in the Western world, although in the field of herbal medicine green tea is intensely propagated. Black tea is actually ‘brother’ to green tea because both are coming from same plant, whose Latin name is Camellia sinensis. The two relatives have another “brother” the one who Englishman’s like to drink. His name is “white tea” (white tea). About whether to leaves of the plant Camellia sinensis arise black, green or white, tea producer decided by applying different types of treatment. In the process, one of the most important factors is the degree of fermentation (oxidation). Black tea is fully fermented and so got a dark color and penetrating rich taste. Then, in relation to their “brothers” and it contains the highest level of caffeine which means that, among other things, the products of the leaves that grow on top of the plant. Details on how it is written on the page titled Green tea prevents cancer. For this reason one can not talk in general about how much caffeine containing one cup of black tea, but in any case much less than one cup of coffee. Around the world are constantly conducting studies on the topic of healing properties of black tea based on the results in the first place emphasizes a beneficial effect on our cardiovascular system. The regular consumption of black tea prevents clogging of the arteries that leads to heart attack and brain. At Boston University School of Medicine conducted a one-month trial in which they were involved two groups of heart patients. One is during this period saw only water and the other after four cups of black tea a day. After a month, the group of patients who drank black tea was found in about 50% of the improvement of the weakened blood vessels which significantly reduces the risk factor of a possible heart attack or stroke. In addition to this effect on the arteries, black tea has a direct effect on the heart, brain and breathing function. The strength that this tea works on the human body increases with higher levels of caffeine which can have in it because it is the most important substance which irritates these vital centers. The caffeine in black tea Irritating cerebral cortex, which contributes to better understand things and quick connect thoughts. This automatically makes it all the intellectual action is done with less effort: easier to learn, remember, communicate etc. Black tea refreshes, minimizing fatigue and drowsiness. Thanks to caffeine and its effect on the respiratory center and improves the function of breathing, increases lung ventilation, which contributes to breathing easier and more comfortable feel. Also, black tea stimulates the heart and circulatory system. As for its antioxidant properties, they are right next to green tea, which is widely known for being, as they are very similar and complete composition. For fear of being boring let’s just remind ourselves: as little free radicals that greater protection against cancer and slow aging process. At Milton Schiffenbauer Pace University found that black and green tea inactivate viruses, including herpes. According to some research black tea destroys bacteria, particularly those that can pollute the digestive organs and cause diarrhea. Drinking cups of black tea have a chance to destroy bacteria and viruses in the mouth. Well, this pleasant the Eastern drink that has long since moved to the West can really be of great benefit to our health. About enjoyment not to mention. Those who are thinking about dealing with the production of black tea with the addition of different and incredible flavor among them even chocolate. 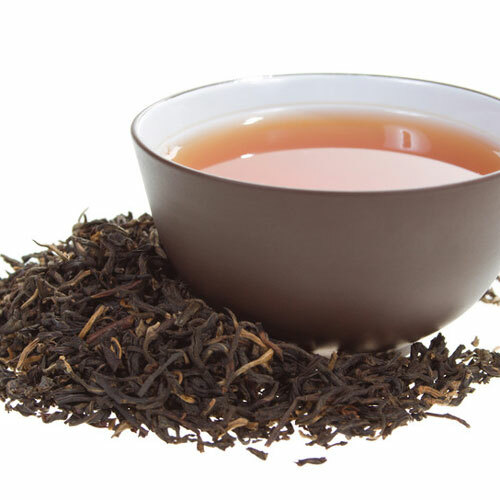 For true fans of tea quality black tea is a true pleasure that should not be absolutely nothing to add or subtract. Note: Excessive caffeine intake can have very harmful consequences for the organism, be cautious. In medicinal purposes recommended daily dose of black tea, 3-4 cups. The maximum daily dose of black tea for adults is 8 cups and all over it can cause poisoning.